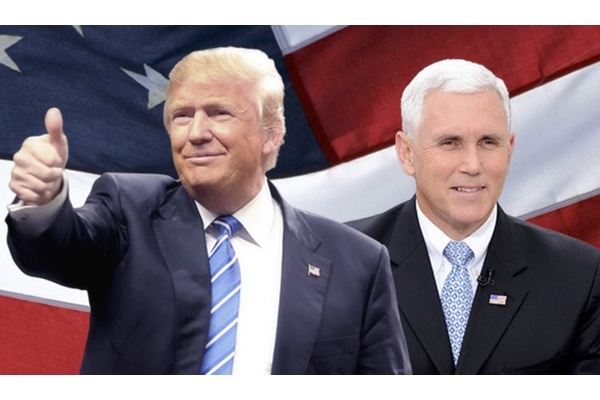 When Donald Trump selected Mike Pence as his choice for vice president most political watchers were not surprised. In choosing the Indiana governor, Mr. Trump removed some deficiencies that were lacking in his own resume. Mr. Pence, an ideological conservative has the credibility to serve as an ambassador to those on the Right, while simultaneously bringing to the ticket a significant amount of executive and legislative experience. Despite the two men being very different, both share the significance of having gained popularity through their roles as media personalities. Mr. Trump’s reality show, “The Apprentice,” allowed the real estate developer to create a public persona that assisted him in launching his successful presidential campaign. Governor Pence was able to capitalize on the appeal of his regional radio program, “The Mike Pence Show,” which then allowed the twice-defeated congressional candidate to finally achieve political success. Mr. Pence is not the first popular conservative to use the electronic media as a stepping-stone to high office. Jesse Helms, who served as senator from North Carolina from 1974 to his retirement in 2003, was, like Pence a former political commentator, whose ability to articulate conservative principles and ideas led to his being elected to office in 1973. While Governor Pence’s optimistic delivery style was more reminiscent of Ronald Reagan, Helms commentaries entitled Viewpoint, broadcast twice daily on Raleigh’s WRAL TV and radio from1960 to 1972, were controversial and combative. During his long tenure as a political commentator, whose editorials reached more than a million viewers, Senator Helm’s opposition to progressive policies along with a strong anti-communist point of view, masked a pro segregationist agenda that was cleverly hidden within the argument for states rights. In William A. Link’s 2008 biography of Helms, Righteous Warrior, the author argues that the senator was able to place his anti civil rights rhetoric within the context of his opposition to those on the Left, who favored an “all powerful government.” That position symbolized the growing frustration of many southern Democrats who were not only angry with what they thought was an activist Supreme Court interfering in their lives, but who also believed that the policies which defined the “New Deal” had become ineffective in controlling issues like crime and improving individual standards of living. Helms, who switched from a Democrat to a Republican in 1970, was representative of a powerful new voting block composed of poor and middle class whites, who believed that the Democratic Party had deserted them in favor of African Americans and other minority groups. By articulating his belief that government regulation was weakening the American economy, that the growing women’s movement was a threat to the foundation of the American family and that the nation’s leaders were unwilling to fight Communism abroad, Jesse Helms come to define a brand of conservatism that would come to be personified in the policies of Ronald Reagan. By the time Helms announced that he was planning to seek the GOP nomination for the senate in 1972, the viewer support he had received in his time as a commentator had developed into a solid constituency that embraced his conservative ideology. While Helms had spent time in local politics, over the course of his tenure at WRAL he had received hundreds of thousands of letters urging him to run for higher office. As Helm’s biographer writes, during his successful campaign the candidate “succeeded in connecting with the electorate, a connection he had already established in twelve years of television broadcasting.” While Helms was not a charismatic campaigner, the victory he achieved in his first race for national office, was partially due to his ability to utilize the message he had developed during his many commentaries that offered a powerful critique of American liberalism at home and abroad. Those themes articulated by Helms during his years on television, allowed him to not only defeat his Democratic opponent, Congressman Nick Galifianakis, but also every other Democratic candidate that campaigned against him over the next thirty years. Mike Pence’s broadcasts were more conversational and upbeat than Helms but his message was just as potent. In following in the footsteps of the North Carolina senator, Pence, another former Democrat and evangelical Christian, utilized the airwaves to stake out his own outsider brand of conservative ideology. While Helms frequently studied letters from viewers to get a sense of the political mood in his state, Governor Pence’s exchanges with callers on his talk radio program from 1995-1999 allowed him to develop a political message that resonated with Indiana’s voting public. While Helms had sounded the call for a conservative assault on liberalism, Pence used his broadcasts to launch a critique of conservatives in Congress, who he believed had been far to cooperative in their relationship with President Clinton and lackluster in their attempts to control entitlements and other aspects of government spending. Pence, who combines his philosophy of limited government with a powerful strain of social conservatism, was able to capitalize on the growing resentment that was developing in the country among Republican voters more than a decade before that frustration emerged in the form of the Tea Party. In his capacity as an Indiana media personality, Pence was able to develop relationships with prominent national and local Republicans like former governor Mitch Daniels. Daniels and other Indiana office holders often visited with Pence, because they knew his program presented them with a friendly platform to express their political views. In becoming an accomplished communicator after four years on radio, Pence was able to present himself as an evangelical, populist, determined to change the status quo on Capitol Hill. While Helms and Pence’s conservatism is similar in many respects, both used their ability as communicators on public issues to achieve political power. In 1976 Helms was able to use his popularity in North Carolina to save Ronald Reagan’s failing campaign against President Ford that was critical to the GOP’s election victory four years later. Pence’s task is far more formidable. While the governor is a gifted communicator, the question remains if Pence’s regional popularity is enough to not only help him unite a fractured Republican Party, but carry the man who called himself “Rush Limbaugh on decaf” from Indianapolis back to Washington.